Simple eating to boost your energy… fast! Are you fed up of feeling shattered? Do you constantly crave sugar just to stay awake? Do you feel like someone has stolen your batteries? Do you constantly crave sugar just to keep your eyes open, or reach for too much coffee to get through your day? Do you feel like someone has taken your batteries out? Yes – I’m ready for more energy! Sign up to start transforming your energy and the way you feel today. It’s not just because you’ve had babies and they’ve drained you of all your energy! Believe me, I know what it feels like to be totally exhausted, but it doesn’t need to be that way. Mums DON’T have to be shattered. In my experience, if you get your diet right… you can start to feel better in just a matter of days, even within 24 hours! Catherine changed my diet and within one week I could feel the difference. Within three weeks I felt like a different person! I NEED THIS RIGHT NOW! Sign me up pronto! Life is complicated enough… healthy food should be simple! 10 amazing recipes to help you start boosting your energy straight away… will be sent to you as soon you register for the live class. I look forward to seeing you there… sign up to start transforming your energy and the way you feel today. 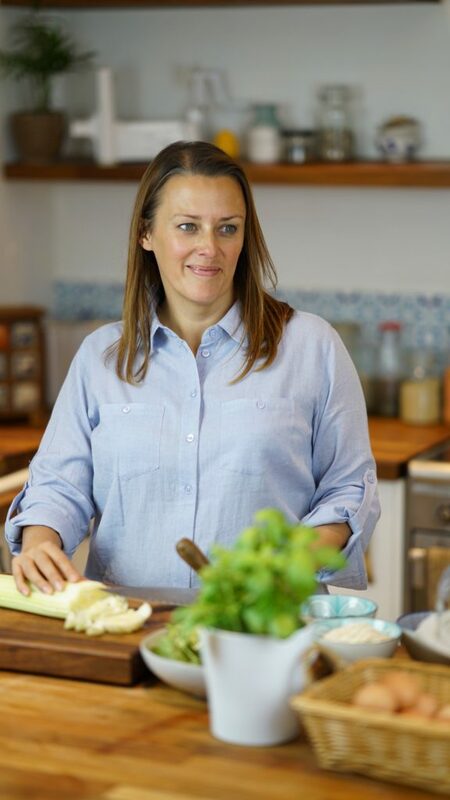 I am one of the UK’s most experienced and qualified Nutritional Therapists, and have helped thousands of people from around the globe to eat well for life. I specialise in family health, and love empowering people to use simple yet life-changing nutrition and lifestyle tweaks to feel their best. Also I’m a Mum of 2… and so I know how to eat well when life gets busy. Plus I was also a Shattered Mum… but now most days I feel like I’m winning!